This canoe trip of several days on the Loire is accessible. 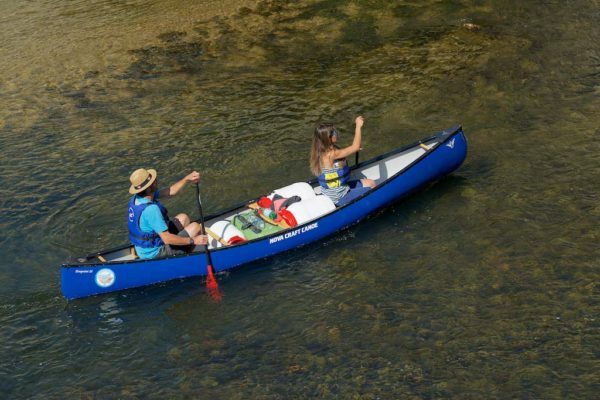 About 15 to 20 kilometres daily, that is 3 to 4 h of paddling, will allow you to wander and take breaks to visit the area or simply observe the environment surrounding you. Organisation: Welcome at the base Loire Kayak the day before or a minimum of 45 minutes before the shuttle (9:45 or 11:15), explanation of your tour, equipment, and then shuttle by minibus to your departure site. During your day: you will paddle at the foot of the Château de Colliers, church of Saint Dyé sur Loire (former port of Chambord, village of Cour sur Loire and Château de Menars. 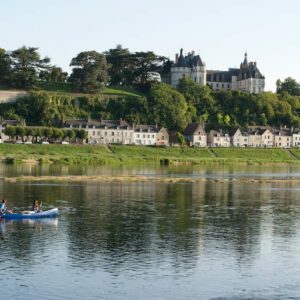 This tour is one of the most beautiful excursions by canoe on the Loire river! Overnight: Halt at the base, at Camping Val de Blois, possible to rent equipped tents or chalets (200m from the base Loire Kayak), hotels, cottages, bed and breakfast… (you can retrieve your vehicle on the canoe base) downstream from Blois. You will go through Blois and pass the Port of Creusille, where you will catch a glimpse of traditional boats used by Loire mariners .Arrival at Chaumont sur Loire campsite at the left bank before the bridge. Overnight: Camping of Chaumont sur Loire, hotel, cottage. Visits: Château de Chaumont sur Loire and its Gardens. You will pass near the Château de Chaumont sur Loire and Amboise. Overnight: Camping of Ile d’Or (Amboise), hotel, and cottage. Visits: Château de Amboise, Clos Lucé (last residence of Leonardo de Vinci). A few kilometres after Amboise, you will pass at the foot of Montlouis sur Loire on the left bank where you can refuel, quench you thirst or make a visit. Overnight: Camping des Peupliers (Montlouis sur Loire), hotel, cottage, wild camping. Visits: Troglodyte caves along the Loire, village of Montlouis sur Loire and Maison de Loire. You will pass at the foot of troglodyte houses in Rochercorbon then go through the town of Tours. Visits: Old Town of Tours and the Loire quays as you cross the Pont Wilson, Château de Luynes. You will pass under the suspended bridge of Langeais, just before your arrival at Bréhémont on the left bank. Visits: Tower Cinq Mars la Pile, Château de Langeais. Once you reach Bréhémont you can quench your thirst on the café’s terrace facing the Loire! We will come pick you up by minibus at the scheduled time. Shuttles on the 1st and 6th day. Accommodation not included and camping equipment not provided. 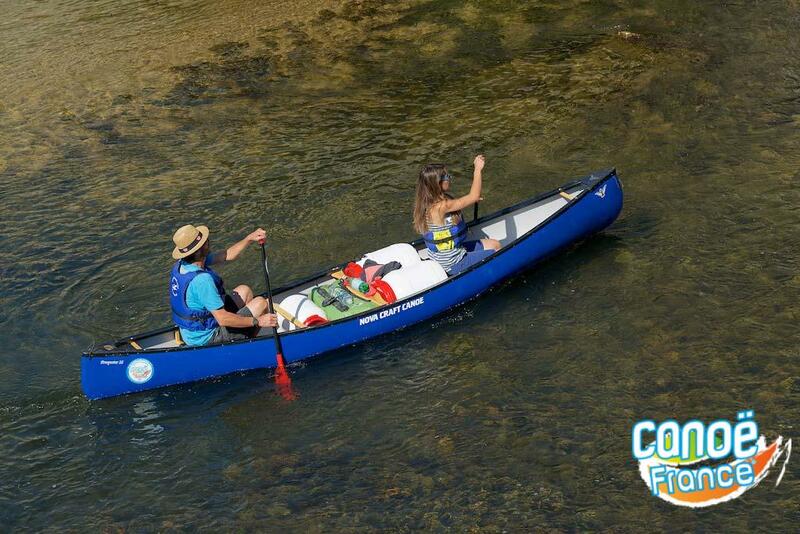 This price includes the rentals of canoes or kayaks sit on top type with the paddles, life jackets, a container or waterproof bag per person and the return shuttle by minibus. Two to three seat Kayak, sit on top type, adequate for 2 to 3 days of trekking on the Loire with a minimal weight charge (1 container/pers). Beyond 2 days of canoeing trek, we advise you to opt for the Canadian Canoe, Nova Craft Prospector 15’6, ideal if you travel with a lot and to carry all your trekking equipment in the canoe. Loire Kayak is located along the Loire, only 5 minutes from the Centre of Blois, in the heart of the Pays des châteaux, and only 1 h30 from Paris. 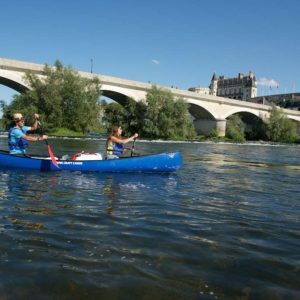 A specialist in canoe or kayak trips, Loire Kayak offers canoe itinerant trips from 2 to 8 days with the widest choice of canoes and kayaks in the Val de Loire, to ensure your multi-day canoe trip is unforgettable. We provide you recent and quality equipment for your canoe trip and the Loire : Kayak sit on top 1 or 2 seats and for more comfort and loading capacity canadian canoe 2 or 3 seats. 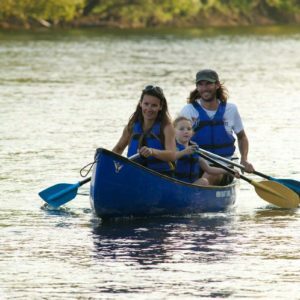 With their state degree and more than 15 years of experience, David and his team will share their passion with you to guarantee a unique canoeing adventure. Don’t hesitate, jump on board our canoes or kayaks and experience a canoeing adventure at the rhythm of the Loire for several days. Via the A10 express way, exit at Blois then N252 towards Bourges. Via the route D951 (left bank) in direction of Orléans at about 3 km of Blois. By train, exit at Blois station, 1h30 from Paris. By bike, 15 minutes hike on a bike road that connects our base to the town center of Blois. 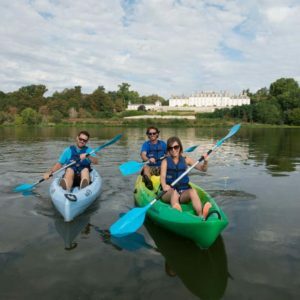 Loire Kayak is 15 minutes from the châteaux de Chambord, and Cheverny, 45 minutes from Tours and Orléans and only 1h30 from Paris.